Enhancing the collaborative culture of the Partners Innovation Group of was the primary goal of our renovation and fit-out of its workplace. Partners Innovation is a unit of Partners HealthCare, the Boston-based non-profit hospital and physicians network. Its mission is to take medical inventions and innovations discovered by Partners HealthCare researchers and provide the appropriate support and infrastructure to allow technology development, commercialization and, ultimately, the development of products to benefit patients. Our renovation comprised approximately 11,400 sq. 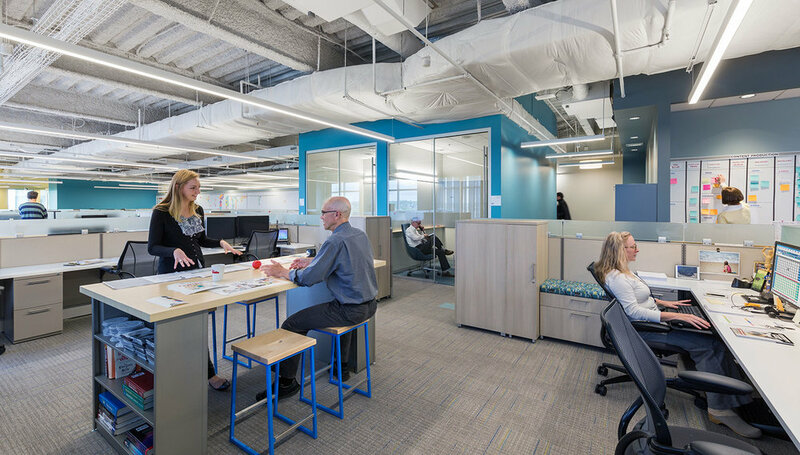 ft., and created office and ancillary support space on a single floor of a leased facility in Cambridge, MA. 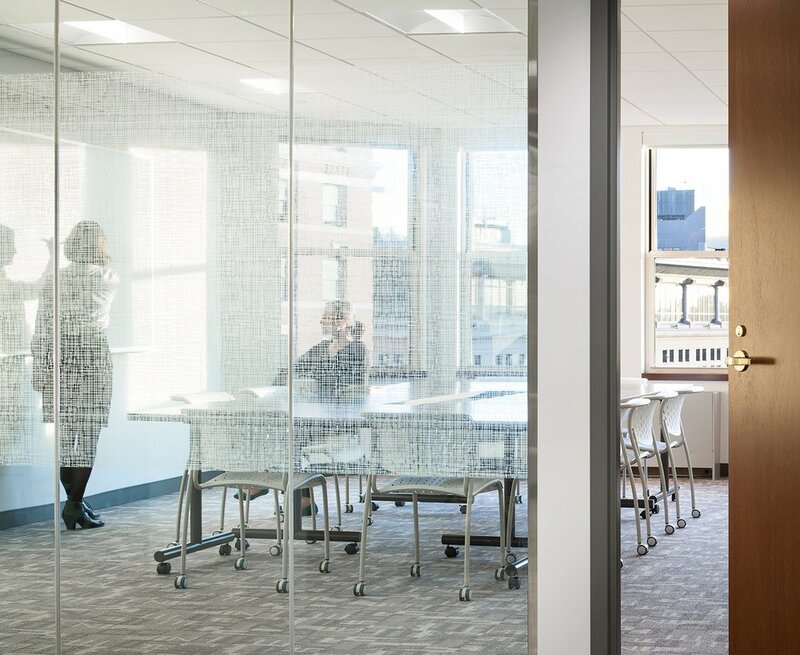 Open offices support the department’s collaborative culture and are complemented by a “hub zone” and a range of enclosed conference spaces and phone rooms for private conversations. The project was designed and implemented on a fast-track schedule.